Originally published at Siam Voices on October 31, 2013 UPDATE (November 1, 8.00am): After an 18-hour marathon session ending at 4.20 am, parliament punched the Amnesty Bill through the second and third reading with 310 votes, while 4 MPs abstained: the red shirt leaders Natthawut Saikaur and Weng Tojirakarn, original bill sponsor Worachai Hema and Khattiya Sawasdipol, and the daughter of Maj Gen Khattiya Sawasdipol aka "Seh Daeng", the rogue general who supported the red shirt movement and was killed while giving an interview with The New York Times at the beginning of the 2010 crackdown. The opposition Democrat Party staged a walkout. The bill is now in the Senate for approval. The political atmosphere in Thailand is seeing rising tensions again after a period of relative calm and could see a major showdown this morning (Thursday) as the ruling Pheu Thai Party (PT) is submitting the controversial and rewritten Amnesty Bill for deliberation in parliament while the opposition is preparing to take to the streets and is trying to mobilize protests against it. The so-called Amnesty Bill was originally intended to benefit only those involved in political protests since 2006, but not their leaders or any officials involved in violent clashes. However, a 35-member parliamentary vetting committee (dominated by Pheu Thai MPs) retroactively amended the bill, extending it to "persons accused of wrongdoing by a group of people or an organisation set up after the military coup of September 19, 2006." This would include all officials and military officers responsible for the deadly crackdown on the 2010 anti-government red shirts protests as well as former prime minister Thaksin Shinawatra, who has been in self-imposed exile since 2008 after was convicted for abuse of power and sentenced to two years in jail. The Pheu Thai Party has faced a backlash over the amendment, not only from the opposition Democrat Party but also from within their own ranks as the red shirt supporter base are objecting the possibility that those responsible for the victims of the 2010 crackdown could walk away scot-free. A red shirt splinter group and families of the victims held separate rallies against the bill over the past week. Parliament announced on Tuesday that the deliberation for the second reading will begin this morning, before the third and final reading will take place on November 2 - technical and procedural hurdles notwithstanding. What also emerged is that the party ordered all its MPs to attend and also to vote in favor of the bill. All signs clearly show that the Pheu Thai Party is really now pushing to pass it through parliament, where it has a comfortable majority coalition. Four deputy Democrat Party leaders - Korn Chatikavanij, Thaworn Senneam, Issara Somchai, Siriwan Prassachaksattru , and party executive Satit Wongnongtaey - stepped down from their positions as board members. Though the five will continue as MPs, they say their reason for quitting the board was to pre-empt any moves to dissolve the part based on their role in the protest. While the planned rally and fierce attitude on display by the Democrat Party has limited impact on what is going inside parliament, it will come down to how many people it can muster. In recent months they have regularly staged rallies (with conflicting reports on attendance numbers) while other anti-government groups, such as the "People's Democratic Force to Overthrow Thaksinism" (PEFOT, what a moutful!) or the short-lived white masks could gather only a couple of hundreds. However, given the focus on a feared Thaksin whitewash and return to Thailand, the Democrat Party is in a rare situation where it could assemble a broader anti-Thaksin coalition (including whatever is left of the ultra-nationalist yellow shirts). Even though it is unlikely that they will literally rally for days, a 'strong' first showing could give at least some temporary momentum - Democrats have optimistically estimated it can rally 10,000, though half that would be considered a success. The big questions are at what point Pheu Thai will pull back (if at all) and how the red shirts' grassroots base will react to the Amnesty Bill? Whatever happens in the next few days, this is the result of a certain hubris in the Pheu Thai Party on this issue. In the past, the ruling party would dip its toe to test the political waters with each new piece of critical legislation (as seen with the constitutional amendments). Now it seems that they are just short of dive bombing into hot water. The danger for the ruling party does not come so much from the opposition, in or outside the parliament, but rather from within, especially the red shirts, even though the mainstream United Front for Democracy against Dictatorship - despite its declaration to abstain a few MPs - is likely to follow the party line and not create a mutiny should the bill pass. Nevertheless, the party should not underestimate the potential for dissent and resentment among its supporters for what is essentially the betrayal of a key campaign promise. Originally published at Siam Voices on October 2, 2013 Thai court sentences former leader of the ultra-royalist and reactionary yellow shirts movement Sondhi Limthongkul to two years in jail for lèse majesté, but for entirely the wrong reasons. The Appeals Court on Tuesday sentenced Sondhi Limthongkul, a core member of the People's Alliance for Democracy, to three years imprisonment after finding him guilty of lese majeste, reversing the lower court's decision which acquitted him of the charge. The prison sentence was reduced by one-third to two years in jail because his testimony was deemed useful. Mr Sondhi was charged that on July 20, 2008 he went up the stage and made a speech at a rally of PAD supporters at Makkawan Rangsan Bridge over a loud speaker. In that speech, which was broadcasted by his own satellite TV channel ASTV, Sondhi quoted pro-Thaksin supporter Daranee Charnchoengsilpaku, more commonly known as "Da Torpedo", demanding her arrest and prosecution. Daranee's reportedly very strong remarks made in 2008 criticized the military coup of 2006 and the monarchy, which led to her arrest and sentencing to 18 years in jail. But, following a petition from her, the ruling was nullified and her case was declared a mistrial (we reported) since the hearings were not made accessible to the public and the media. Nevertheless, she remained imprisoned and the retrial in 2011 still found her guilty, sentencing her to 15 years in jail. Earlier this year in July, it was announced that Daranee will seek a royal pardon after more than 5 years of imprisonment and several have reported health concerns. This lèse majesté charge against Sondhi - filed by the police - originates as far back as 2008 as he was issued an arrest warrant shortly after the aforementioned broadcast and eventually faced trial in 2011 after several delays. In September 2012 he was acquitted of the charges by the Criminal Court, as it found that Sondhi had "no intention" of breaking the law. Now, a year later, a higher court has overturned that ruling. For Sondhi, who was sentenced to 20 years in prison for corporate fraud earlier this year, it is another blow for the man who led a powerful and controversial political movement, more commonly known as the yellow shirts. The group is notorious for their street protests and the siege of Bangkok's airports in 2008 (the trial has yet to commence) in their continuous campaign to rid Thai politics of the influences of former prime minister Thaksin Shinawatra (a former business partner of Sondhi), including the current government of his sister Yingluck. In August, Sondhi and other high-ranking leaders announced their resignation from the movement after they failed to convince their former allies, the opposition Democrat Party, to quit parliament in an effort to topple the government. While all involved insist that the PAD is not dead, their departure effectively disables the already marginalized movement (for now), despite the ongoing existence of ultra-royalist, anti-democracy and reactionary political offshoots. The Appeals Court found Mr Sondhi guilty as charged, reasoning that it was not necessary for him to repeat Ms Daranee's remarks in public. In doing so, Mr Sondhi caused other people to know what Ms Daranee had said and to talk about it, thus affecting the monarchy. In other words, Sondhi made himself an accomplice to the crime and it doesn't matter if it was used in order to vilify her and demand her arrest, since Daranee's words - as with all other allegedly offensive remarks in all lèse majesté cases - are not publicly discussed outside the court rooms. As explored in a previous blog post here, prosecutors have the contradictory task of pursuing offenses against the monarchy (and also the often cited "national security") yet at the same time insist that they do not have an effect on them personally as loyal Thais. Notably, while countless other lèse majesté prisoners are rejected bail and remain imprisoned while awaiting trial - as authorities claim they are a flight risk - Sondhi Limthongkul yet again walks free on bail (reportedly 500,000 Baht or $16,000 in this case) and probably will never see the inside of a prison cell. Is this the end for Thailand's ultra-nationalist yellow shirts? Originally published at Siam Voices on August 26, 2013 As leaders of the ultra-nationalist People's Alliance for Democracy (PAD) announce they have quit their roles in the movement, is this the end for Thailand's yellow shirts? It was a Friday and the end of a rather tumultuous political week with long parliament debates on constitutional amendments almost coming to a grinding halt because of the antics by opposition Democrat Party that ultimately couldn't stop to vote. From the outermost sidelines of the Thai political playing field, the People's Alliance for Democracy (PAD) - the ultra-nationalist, anti-democratic and anti-Thaksin street protest group also commonly known as the yellow shirts - announced that it would make a televised statement later that Friday evening. A "change in its stance" was touted by the movement. The question was in which direction it was heading. Would the yellow shirts return to mass street protests they have given up on in 2012? Would the Democrat Party return to the fold after their break-up and following ridicule by the PAD? The PAD leaders, who face a number of charges as a result of anti-Thaksin Shinawatra protests, claimed their ability to conduct political activities was being curbed by court orders. If they were to bring about political reform, they would have to violate those court orders but there were no guarantees that their "sacrifices" would pay off in the long run. They said the PAD alone was not powerful enough to bring about change. The Democrats, however, have the resources and are not restrained by any court orders, they said, but the Democrats have turned their back on Mr Sondhi's proposal. By rejecting the PAD's offer, the Democrat Party showed that it was only aiming at discrediting the government and, like other political parties, hoped to use other groups for its own political gains, the statement added. The leaders further lamented in their Friday night announcement the 'vicious cycle' of politics. Even if the current government of Prime Minister Yingluck Shinawatra (which they perceive as a proxy government of her brother Thaksin) is overthrown, the ruling Pheu Thai Party would comfortably win again in a reelection scenario. Any other political party would also act purely for their own political gain, their statement continued. The yellow shirts have put their hopes in their former fellow anti-Thaksin protesters from the Democrat Party (both have large overlapping supporter groups mainly consisting of middle class Bangkokians), but they have moved on and created their own street protest groups. Furthermore, the opposition politicians would also not want to risk their political careers and quit parliament, which was a condition demanded by the PAD for them to join. It was an admission of failure for the PAD in their mission to 'free' Thai politics of the influence of Thaksin (also a former business partner of Sondhi before ties between two soured) and everything the yellow shirts believe he stands for, among them a corrupt democratic system that needs to be done away with - preferably via a military coup and replaced with appointed representatives instead of elections. What began as a broad urban anti-Thaksin alliance in 2005 and the (re-)introduction of street politics to Thailand and reached its climax in the 2008 airport siege (their trials have been postponed countless times), became more and more marginalized over the years. 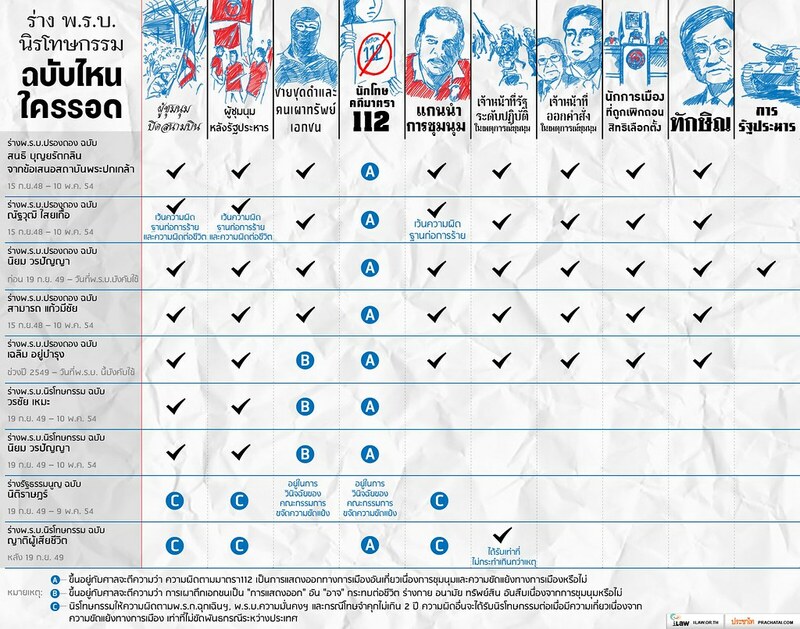 All that is left of the movement is the ultra-nationalist and anti-Thaksin core from the beginning. Will this mean the end of anti-Thaksin protests? Far from it! The sentiments against Thaksin have only run deeper in Thailand over the years, as the various affiliated off-shoot protest groups such the ultra-royalist multi-colored shirts, the short-lived Pitak Siam and the recently emerged 'White masks' have shown. What all these groups have in common - apart from near-facist political leanings - is that while they have identified what they hate, they rarely have offered a proper political solution to the ongoing polarization. The leaders' resignation wants to be understood as something temporary rather than a complete breakdown. A return of the yellow shirts to the streets is never really out of the question given the right circumstances. However, with Friday's announcement the People's Alliance for Democracy have become a complete misnomer: they do not have enough the mass support they require, nor have they allies such as the Democrat Party and the military, and they certainly do not stand for democracy. Originally published at Siam Voices on July 26, 2013 When Thailand's parliament reconvenes next week to continue the political season one of the most discussed and possibly the most controversial issue will be the passing of the so-called amnesty or reconciliation bill. Advertised as a means to overcome the ongoing political division by giving far-reaching amnesty to those convicted for taking part in the countless political protests - of both yellow and red shirts - since the military coup of 2006, opponents are accusing the government of white-washing the activities of the red shirt protesters and exiled former prime minister Thaksin Shinawatra. Depending on which of the various drafts you read, the bill could issue an even more far-reaching amnesty that also includes the junta behind the military coup, the military and civilian authorities responsible for the violent crackdown of the 2010 anti-government red shirt protests (including then-prime minister Abhisit Vejjajiva and his deputy Suthep Thuagsuban), the various protest leaders, erasing the post-coup judiciary (a junta-appointed court which has dissolved deposed prime minister Thaksin Shinawatra's Thai Rak Thai Party and banned 111 politicians from office in 2007) and - according to one draft - even absolve Thaksin himself from a 2008 court sentence for abuse of power in a land purchasing case. The authors of the drafts nearly all come from the governing Pheu Thai Party (PT). Red shirt leader and current deputy commercial minister Natthawut Saikua and coup-leader and now-opposition politician Sonthi Boonyaratglin may come from opposite ends of the political devide, but have presented similar amnesty drafts, with the main difference that "those who commit terrorist acts and acts causing death" are excluded in Natthawut's bill proposal. The former deputy prime minister and now newly demoted named labor minister Chalerm Yubamrung also throws in a draft of his own in a typically eager attempt to leave a personal mark on this issue, in which almost everybody - including Abhisit and Thaksin - are absolved. None of the bills include those imprisoned under the lèse majesté law. "People from all colours will be absolved of any offence they committed or had committed against against them, except for core leaders," Ms. Payao [Akkahad, the mother of 25-year-old Kamolkade Akkahad, a medical volunteer who was killed inside Wat Pathum Wanaram on May 19, 2010] said of the victims' relatives' version of the bill. The relatives will submit their five-page bill to Prime Minister Yingluck Shinawatra tomorrow, and to the parliament speaker on July 24, she said. This bill, [Punsak Srithep, father of the 17-year-old Samapun Srithep, who was killed on May 15, 2010, on Ratchaprarop Road,] said, would allow judicial lawsuits to be pressed against persons or groups that killed people and/or damaged private property. The relatives' bill also does not prevent private entities whose properties were damaged in the unrest from launching civil suits against vandals or arsonists, he said. The draft, coined by local media as the "People's Bill", has found in opposition Democrat Party leader Abhisit Vejjajiva an unlikely proponent. While he lauds it to be "the first amnesty bill that had been proposed with a reasonable and reconciliatory tone," parts of the proposal directly target him and his administration's role in the violent crackdown on the red shirt protesters in 2010 (both he and his former deputy Suthep are facing murder charges by the DSI on at least one count, if not even more). It comes as no surprise that his party supporters and other ultra-conservatives have criticized Abhisit for voicing his support, many questioning whether or not he actually read the entire thing. The opposition has not yet brought up a proposal on their own. Prominent Pheu Thai politicians and Redshirts leaders, such as Mr. Weng Tojirakarn, Mr. Sombat Boon-ngarmanong, and Ms. Suda Rangupan, have accused Ms. Payao and Mr. Pansak of trying to slow down the process to pass amnesty bill by picking a fight with the powerful military. According to those opposed to the ′Victims Families′ amnesty bill, the effort to free detained Redshirts protesters should be a priority over the need to prosecute the security forces. They expressed their fear that the military would never allow Ms. Yingluck′s government to pass such a bill, ruining the chance of any little gain there might be altogether, and might even launch a military coup in retaliation. Some Redshirts also openly questioned the motives of Ms. Payao and Mr. Pansak, indirectly accusing them of being collaborators with the rival Democrat Party which, strangely enough, had expressed its support for the ′Victims Families′ amnesty bill. Instead, the UDD and the Pheu Thai Party are reportedly backing the draft by PT MP Worachai Hema, putting it top of the agenda for deliberation in parliament (even before the 2014 Budget Bill!) and ditching all other proposals - a move some observers say is to avoid uproar from the UDD, despite reports of dissatisfaction among certain groups within the fragmented movement. Under Worachai's bill, all political protestors will be granted amnesty - regardless of their political allegiance - while excluding the protest leaders and authorities responsible for the crackdowns. August rings in a new political season that could get very heated very quickly: on top of the 2014 Budget Bill, the 2.2 trillion Baht (US$ 730bn) loan for infrastructure investments and proposed constitutional amendments, the amnesty bill will spark months of legislative tugs of war and wars of words (and potentially worse antics by the opposition outside and inside parliament like last year) - once again revealing how big Thailand's political divisions really are and that even a far-reaching amnesty will not be enough to close the gap. Originally published at Siam Voices on May 17, 2013 Thailand's political climate could be heating up again after the Prime Minister's Mongolia speech has caused strong reactions, especially from anti-government groups. A new online group now has now claimed the 'Thai Spring' moniker to denounce the government, but it has very little to do with its bigger counterpart in the Middle Eastern revolutions. When Prime Minister Yingluck Shinawatra went to Mongolia's capital Ulan Bator in late April, many were expecting yet another trip abroad to drum up economic ties with foreign states and private investors. However, speaking at a conference of democratic countries, she addressed some very sensitive issues for the first time since the beginning of her tenure in 2011. In her speech, Yingluck praised her brother and former prime minister Thaksin's political achievements (while deliberately overlooking his faults and wrongdoings) during his rule, acknowledged the red shirt protesters who "fought back for their freedom" and gave "their lives defending democracy". She also condemned the 2006 military coup that ousted Thaksin and said "elements of anti-democratic regime still exist" and are still working against her, explicitly mentioning "the so called independent agencies have abused the power." For once, Prime Minister Yingluck Shinawatra - until then always striking a conciliatory tone and a soft approach - made a politically committed speech and was ready to take sides. She did not shy away from sad truths (e.g. the military drafted constitution of 2007), while highlighting her government's populist policies and those of Thaksin - something she could have done much earlier. The strong reactions by her political opponents suggest Yingluck has struck a nerve: the controversy around the misogynist insult by a Thai Rath cartoonist and the ill-advised lawsuit against him by the PM and the even more ill-advised rampage by the ICT minister were just one of many different verbal flash points following her speech. A new website has been launched, Thai Spring, where people can voice their opposition to the Yingluck Shinawatra government, retired police officer Vasit Dejkunjorn and former senator Kaewsun Atibodhi said on Thursday. Describing himself as a person who adheres strongly to the principle of a democratic administration under the monarchy, and who has experienced many political eras in Thailand, Pol Gen Vasit said he was aware there are groups of people trying relentlessly to undermine the highest institution in the country. Pol Gen Vasit called for the government to review its role, otherwise the "Thai Spring" movement would develop, in the same way that the "Arab Spring" phenomenon had led to anti-government protests by huge numbers of people. The two men behind the campaign, Vasit Dejkunjorn and Kaewsun Atibodhi, are noted ultra-royalists and anti-Thaksinites respectively. Vasit has attended several pro-monarchy rallies in the past, while Kaewsun often publicly slammed Thaksin on the stage of the yellow shirts gatherings and investigated against his administration after he was appointed to a post-coup committee. So, it's pretty clear where these two are coming from politically - as is their the often regurgitated claim of the Yingluck-Thaksin campaign to overthrow the monarchy. What stands out in this case are the means of their protest: this ultra-conservative group is starting their anti-government campaign online. Unlike what is erroneously reported, "Thai Spring" does not have a self-hosted website (yet) but is rather a group on the Thai section of Change.org, an online petition platform that normally avoids overly politically partisan campaigns. The petition itself called "ร่วมลงชื่อปฏิเสธปาฐกถาอูลานบาตอร์ของนายกรัฐมนตรี" ("Petition to Denounce the Prime Minister's Ulan Bator-Speech") has at the time of writing reached over 14,000 signatures and have explained in a long open letter how PM Yingluck is just a puppet of the exiled Thaksin, how they're going turn the country upside down, and how all the media in their pockets, comparing at lengths the PM, the government, the ruling party to Kim Jong-Il and North Korea*. Of course, they also claim to speak on behalf of all Thai citizens. The 'Arab Spring' was in part sparked by a disenfranchised youth stifled with high unemployment and fed up with decades-old authoritarianism. On the other hand, these men behind the so-called 'Thai Spring' represent an elitist, reactionary force that see their vision of Thailand endangered by Thaksin Shinawatra - who without a doubt is not a democrat either, but (unwittingly) enfranchised a largely neglected rural population with political conscience - and want to stop it with all non-democratic means at all costs (e.g. endorsing a military coup), even at the cost of democracy itself! This could signal yet another political (re-)entrenchment, as the opposition both in and outside parliament have been clearly agitated by Yingluck's speech, which could be seen as a battle cry for a stronger push in the upcoming political challenges later this year such as the charter amendments, the reconciliation bills, but also the court verdict in the Thai-Cambodian border dispute. The relative calm over the past years could be pushed aside by the reemergence of the heated political polarization and a further escalation between the two fractions that have diametrically opposing visions about the future of Thailand's rule and its structure. But with the hijacking of the 'Thai Spring' by the ultra-conservatives it has already been made clear: this spring does not signal a fresh new start. *On the comparison to North Korea, here's another quote from the open letter: "If you pay a visit to North Korea you will witness the omnipresence of portraits of the leader. In Thailand it is the same. These two likeminded families have thus been sending their followers and subordinates to infiltrate all strata of their respective societies." Hmm...! **More on the (un-)likelihood of an 'Arab Spring'-style uprising Thailand hopefully in a future post.